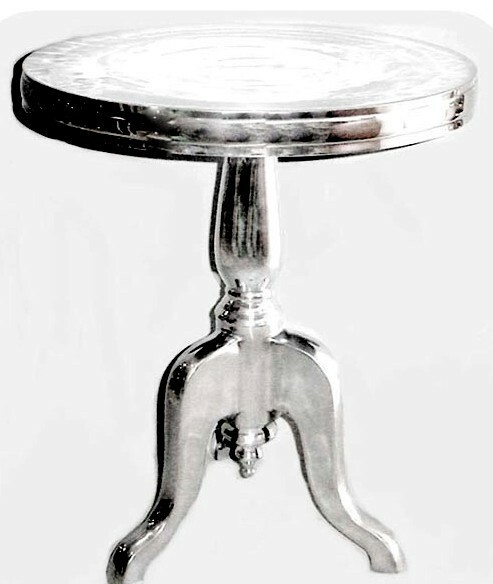 Round Polished Table, 21" X 25" 1. Size -21" X 25" Inches 2. Material - Aluminium 3. With Plain Finish Color- Silver Its elegant looks and style enhances the beauty of the decoration. These Is Durable in use.